Monsoon is here and we know how you city folk love pani puri in this weather. 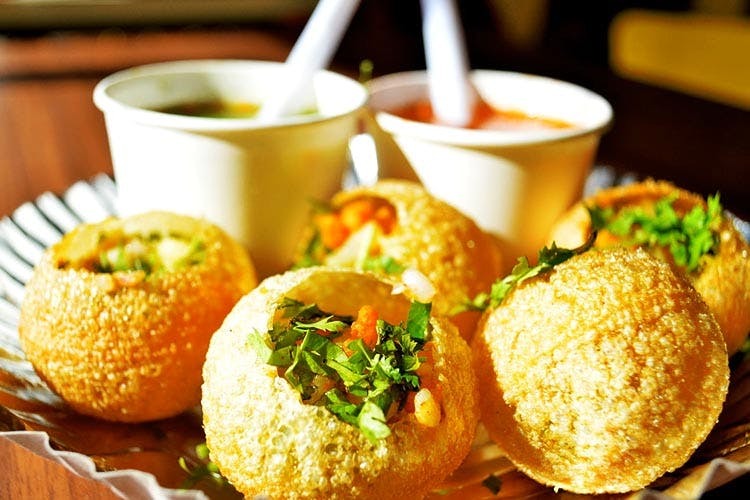 So, here's a list of the best pani puri places in town to go to when you're craving this dish. From suji puris to multi-flavoured pani, get it all here. Located on the main road of Ayyapa Society, this wooden cart of a stall serves seven different flavours of pani-puri. If you are ever in the area, this shop will surely grab your attention. It is hygienic and serves offbeat flavours like hing, mint, jeera, garlic, lemon and ginger which are not usually served at regular street side stalls. It is followed by two sukkha puris. You can also get suji pani puri here, and other chaat items like raj kachori, paav bhaji, ragda, and aloo tikki too. Agra Sweets Namkeen & Chat Bhandar at Rajiv Nagar X Road serves wholesome pani puris which are super spicy and attracts all the youngsters and kids in the vicinity. Their stall is clean and they do customisation based on your choice of sweet/spicy filling too. Make sure to also try the masala puri here as they're tangy and perfect snack during the monsoon. Dadus is known for its sweets, but the crowd usually stops to have the pani puri as well. You will often find a lot of families here who come especially for the pani puri because it's not just hygienic but also has a rich taste that you'll find nowhere else. Have we also mentioned how delicious the chana is? This small chaat stall serves pocket-friendly pani puris at INR 20 for 10 pieces and they have plenty of options apart from the pani puri as well. If you live around Kondapur, know that it usually opens at 6.30pm and go here with your squad and have a pani puri competition. Located outside Ramp, on street no.8 is a small pani puri shop run by Poorna Chandra. Opening at around 4.30 pm every evening, it is usually a spot for school kids around the area. Initially run as a one-man stall, its popularity has made it a busy hangout with people coming from various parts of the city simply for the pani puri. This stall has been around for over 15 years now, and it is right outside the water tank there. He makes choley pani puri that is to die for and has a loyal following that shows up every day too. However, be warned that his timings are erratic, and it's best to go before 5pm.